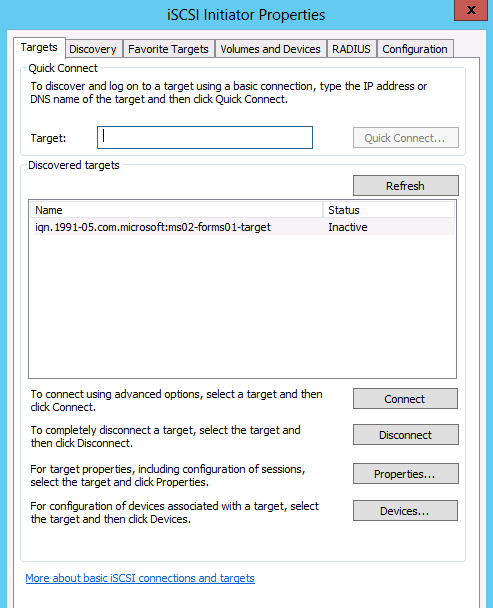 In previous Windows versions, the iSCSI target isn't built-in in Windows Servers. 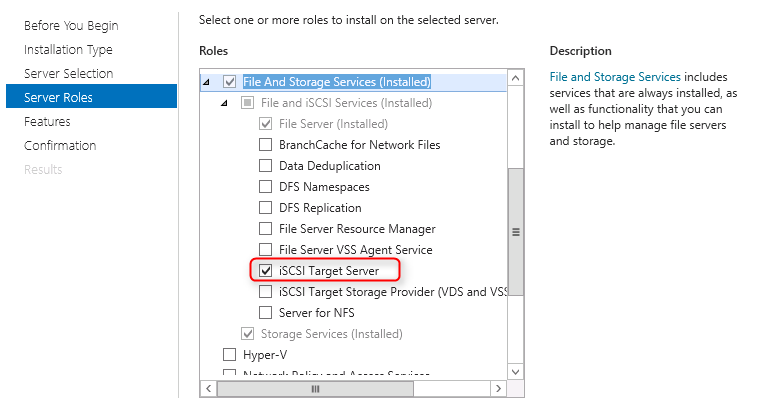 To configure iSCSI target, you need to download and install the on Windows, Windows Server 2008 R2 or using Windows Storage Server. 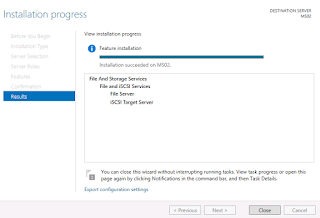 In Windows Server 2012, the iSCSI target is a feature of Windows Server 2012 and it is easy for us to install and configure. Configuring the iSCSI target on Windows Server 2012 GUI. 1. On MS02, log in as Administrator. 2. 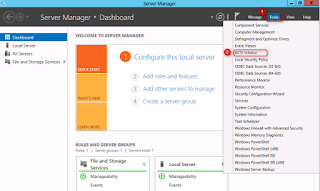 Launch Server Manager, click "Add roles and features". 3. At "Before You Begin" window, click "Next". 4. 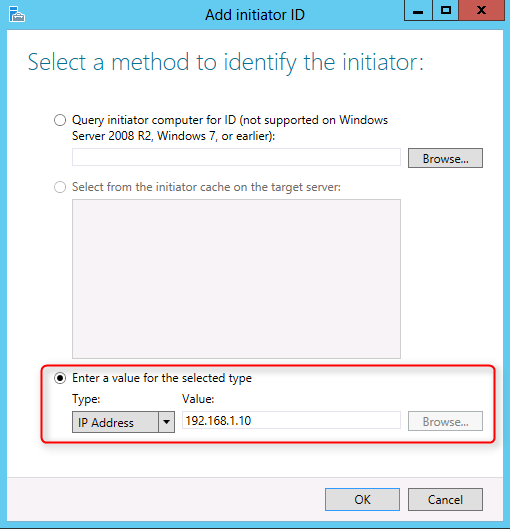 At "Installation Type", select "Role-based or feature-based installation". 6. 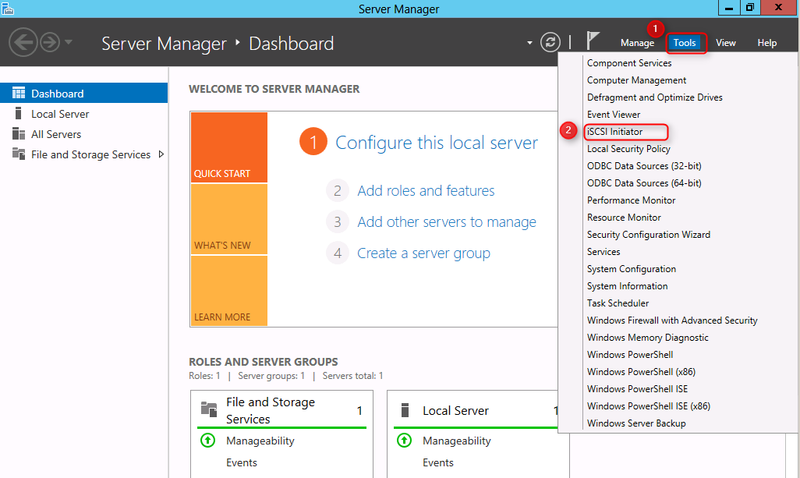 At "Server Selection", click "Next". 7. 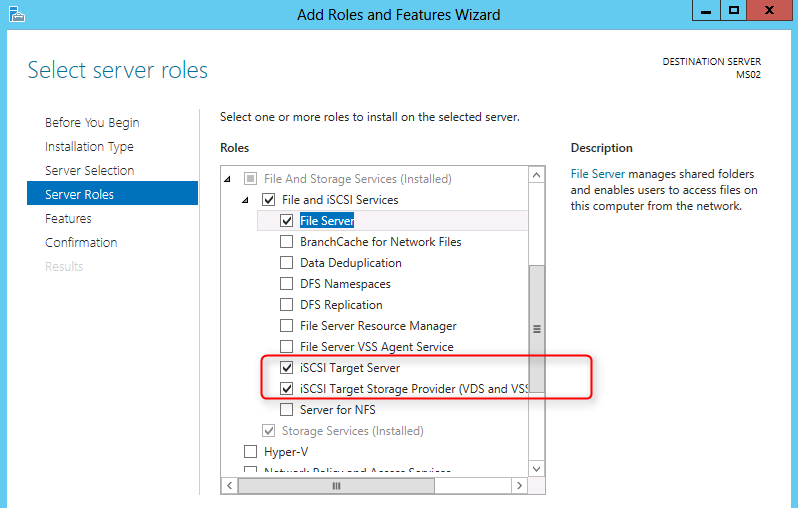 At "Server Roles", expand "File And Storage Services > File and iSCSI Services". 8. 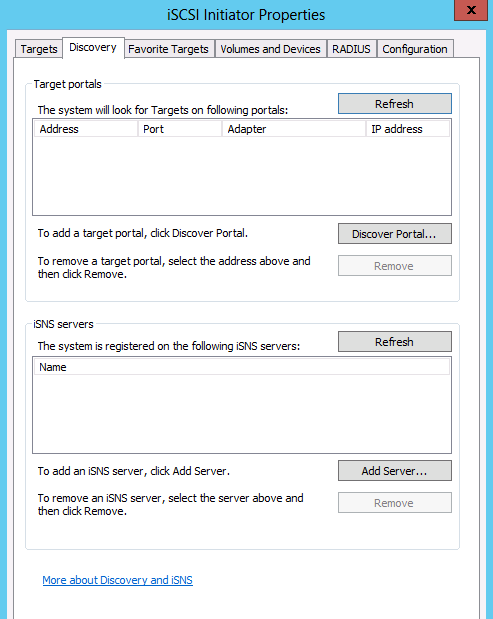 Check "iSCSI Target Server". 10. 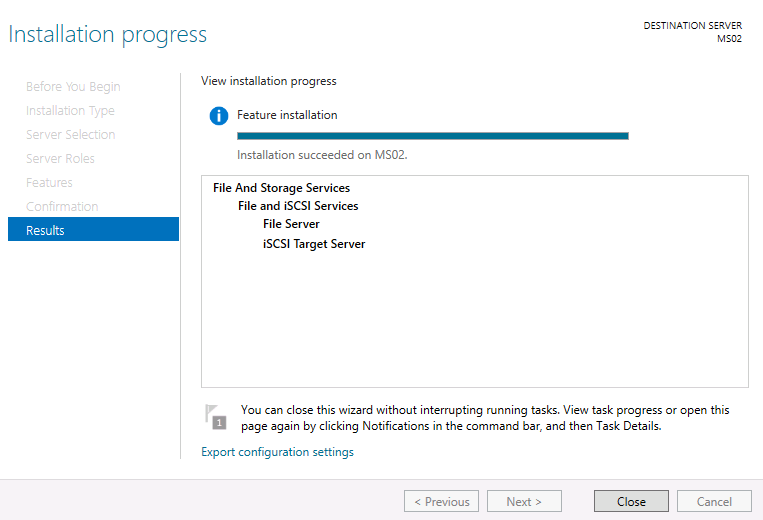 At "Confirmation", click "Install". 11. When installation finished, click "Close". 12. 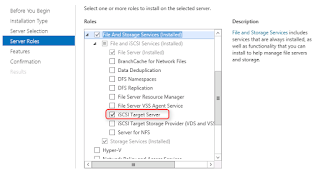 At "Server Manager", click "File and Storage Services". 15. 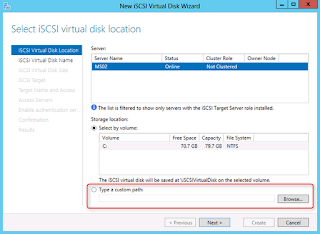 At "iSCSI Virtual Disk Location", you can select a volume or a custom path to store the VHD. 16. 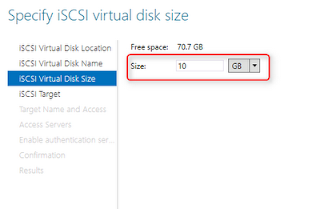 I select volume C: to store the VHD, click "Next". 17. Next to "Name", type "MS01_HD01". 19. 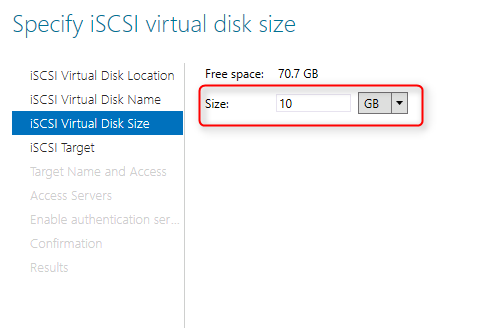 Next to "Size", type "10"GB. 21. 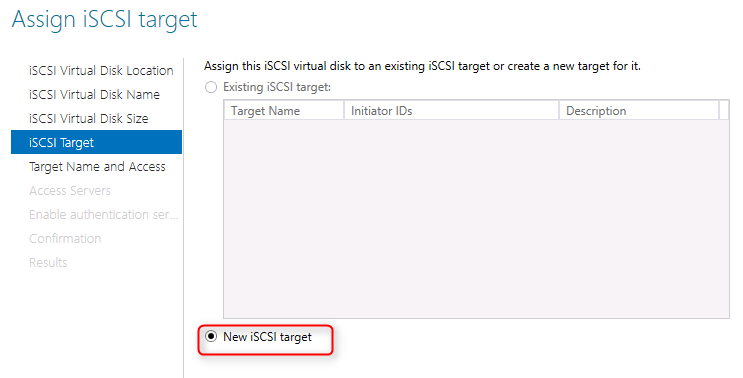 Select "New iSCSI target". 23. Next to "Name", type "ForMS01". 25. 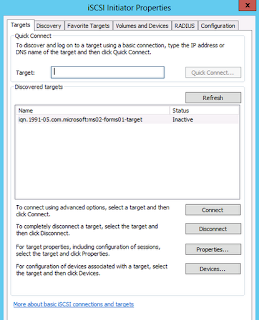 At "Access Servers", click "Add". 26. 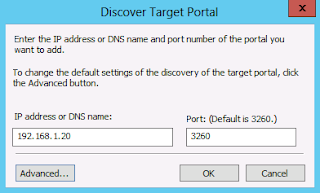 Select "Enter a value for the selected type" and then select "IP Address". 27. Next to "Value", type "192.168.1.10". 30. 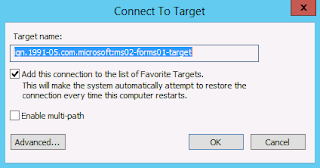 At "Enable authentication", leave the default settings, click "Next". 31. At "Confirmation", click "Create". 32. 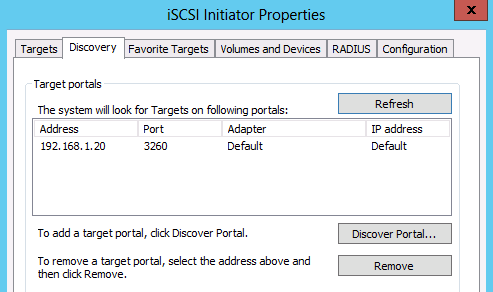 As a result, the virtual disk and iSCSI target have been configured. 1. 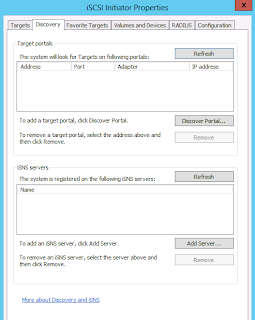 On MS01, log in as Administrator. 3. 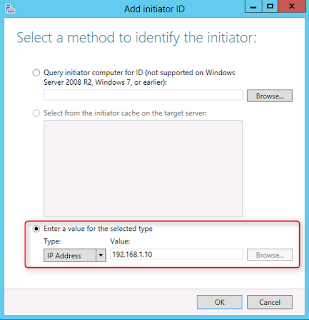 Click "Tools > iSCSI Initiator". 4. 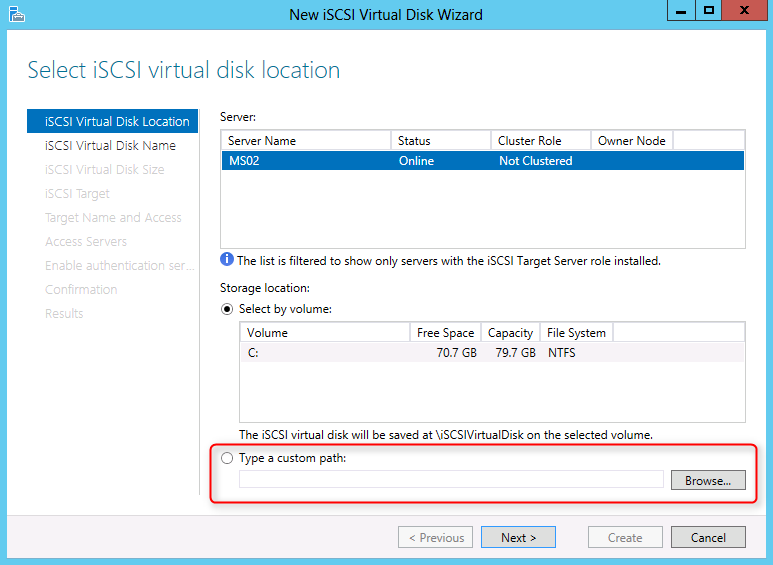 Click "Yes" to start the "iSCSI service". 7. Under "IP address or DNS name", type "192.168.1.20". 11. Leave default settings, click "OK". 12. 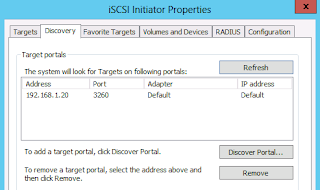 Click "OK" to close "iSCSI Initiator Properties". 13. 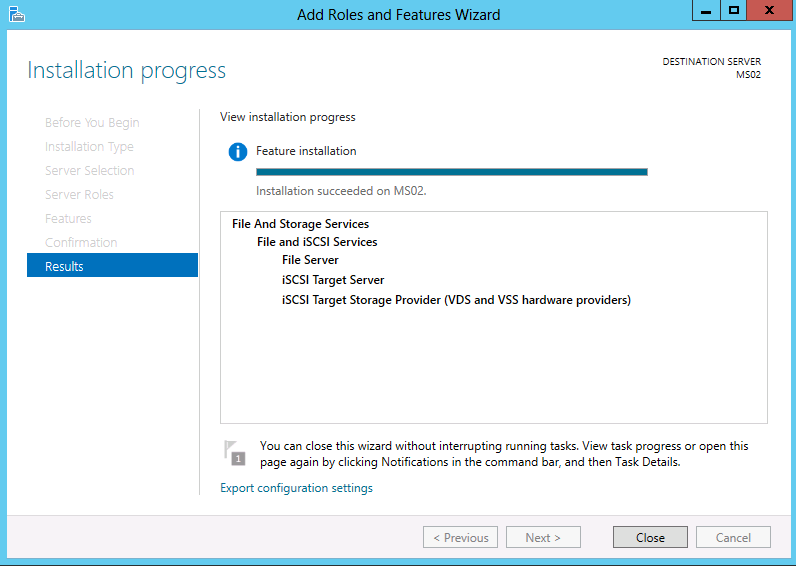 Back to "Server Manager". 14. Click "File and Storage Services". 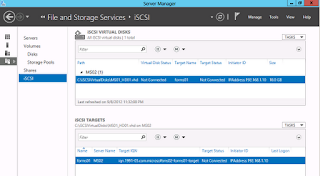 You can see the iSCSI disk has been connected. 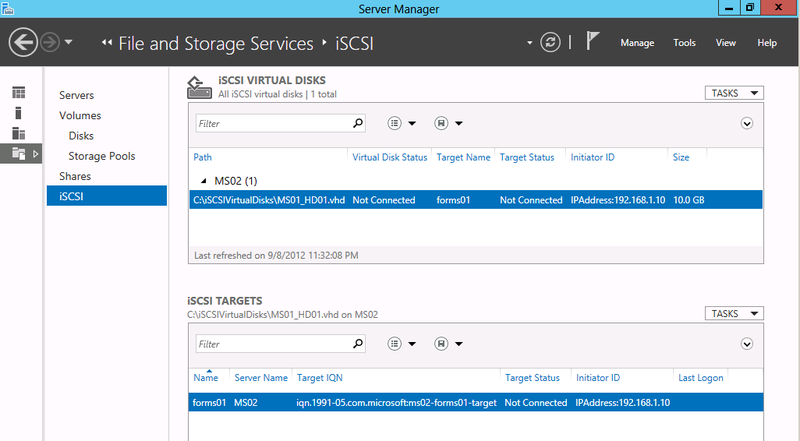 Now, I can configure the iSCSI disk.